I used to cycle to work. Back in England I rode from the bottom of a hill to the top of the city. I was a confident and competent rider. I wore my helmet, had my flashing lights, was constantly aware of the cars and obeyed all the rules. I enjoyed it. Nay, I loved it. I got good exercise, felt like an ecologically aware citizen and was able to do things – quite literally – at my own speed. So, when OnzO bikes snuck up on us this past weekend I was super excited to give it a go. Admittedly, I haven’t been on a bike for a couple of years and my osteopath warned me to be careful (!) but I got tingles all the way to my toes when I spied one of the yellow beauties the other day. I downloaded the app. I never download apps. This was momentous. I felt superhuman unlocking my freedom. Scan the QR code and pop! There it is. Ready. I grinned. Helmet on, route calculations done. I would take it easy on the waterfront, go to a quick meeting and then run (ride) my errands. The waterfront was gorgeous. It’s always gorgeous. I snapped a selfie and immediately posted it to every social media outlet at my disposal. Yes, a friend did comment on the jaunty angle of the helmet. I dodged wild toddlers, slowed down for snail’s pace walkers (the ones who annoy me when I’m on foot) – but with the wind in my hair, I just didn’t care. I smiled at every single person looking vaguely in my direction and got to Te Papa in record time. I was impressed with myself and the bike. Comfortable and easy to ride (yes, they’re one speed, yes, the waterfront is flat, so perhaps I’m easily impressed) and I was ready to rock the socks off my errands. Until. I turned onto a real road. Just the one real road. Taranaki Street. Oh sh*t.
The traffic lights next to Circa were fine. The traffic lights beyond were not. I was terrified. There were cars! I shouldn’t have been surprised, but the car behind me at the lights could clearly see the fear. Thankfully the driver was patient. I did what I was supposed to and got myself into the middle of the road to indicate right into Luke’s Lane. I dismounted, shaking. How on earth was I going to do all of the things I wanted to do today? I made it to the work meeting, quaking in my boots. My boss cycles every day and is fearless. I feel like a coward. 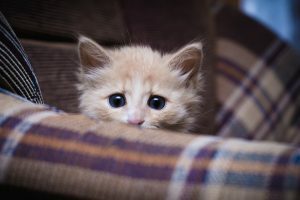 But she reassures me: Of course I’m scared. That’s a natural response. It’s only natural to not want to be feeling in danger of being bounced off a bus or crushed by a car (I quite like being whole, it works for me). Cycling through the city shouldn’t be scary, should it? Cycling through the city should be way easier and it should be encouraged. The centre of Wellington is perfect for these one-speed OnzO wonders. 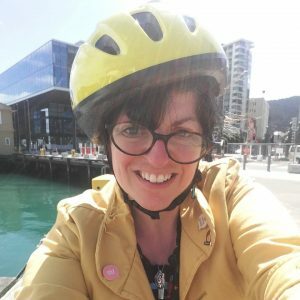 If the new bike-share service survives in Welly beyond its six month pilot (fingers crossed) will we see anything change to make getting about easier? Could vehicular access in the city be restricted so more people get on their bikes and ride? Could bikes and buses live together in harmony? Mass-transit and pedal power side by side, not jostling for space. I will try again. I don’t give up. If you see me on an OnzO in town, please know that I’m probably still terrified but I’m feeling the fear and doing it anyway. I definitely want to ride a bicycle, just like Mr. Mercury. How could we encourage more people to bike? What’s your experience of OnzO? the lack of cycleways will continue to restrict cycling but there are some laneways I find useful for getting thru the cbd away from entitled motorists. 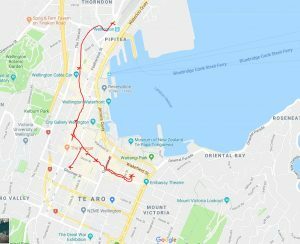 My ebike is being upgraded so tried Onzos – agree that they are great for waterfront not so great on the road unless you have a good tail wind. We should allow slow travel on footpaths and malls – Onzos excellent for that.